When someone persuades someone else they are giving away HC power level paragon runs... and they set the lower level character up to die. Diablo 3 Battle Royal mode, my dream for PvP. I made a post on reddit/r/diablo3 about my idea and all the benefits the game could have from implementing such a fun and competitive mode. I would love to see it, or at least get Blizzard to think about it... It is not hard to accomplish and would be super positive fpor the comunity! "So, our core problem is that our Team Deathmatch mode doesn't feel like a great addition to Diablo III. It's not up to the quality that Blizzard gamers expect or that we feel you deserve, and it doesn't really fit with our goals for the rest of the game. The question now is what are we going to do about it?" Seems they answered their own question. The answer was just "NOTHING". Pretty good scam if you ask me. 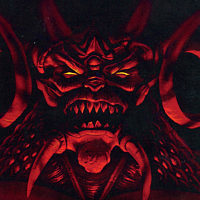 Well diablo 2 is the best game ever made and i wish i could say that about diablo 3, but blizzard would probably need to re-hire the minds who thought up diablo 2 for me to give it that prop. D3 just dont have the magic d2 had. Here i thought with it being like year 2017 video games would just get better and better but unfourtanely they've made them worst? ...its called brawling now... lol. Does blizzard know no one is brawling?.. also Brawling? 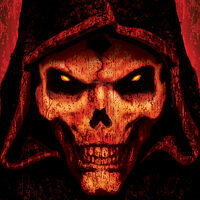 I played diablo 2 for a few years straight like a fiend. Not once did i ever get a message.. "Hey want to 4v4 brawl with clan DKG?" 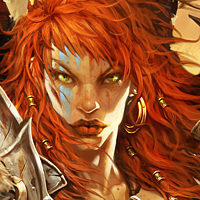 It's like they had people who never even played diablo 2 make up and create diablo 3.. and us the people paid them for it.. but don't get me wrong d3 is fun to play but not for like ..ever.. ; like d2 was/still is. Good Luck To Any and All Who Read This Message!